﻿ Presentation of Conference Microphones - Guangzhou DSPPA Audio Co., Ltd. 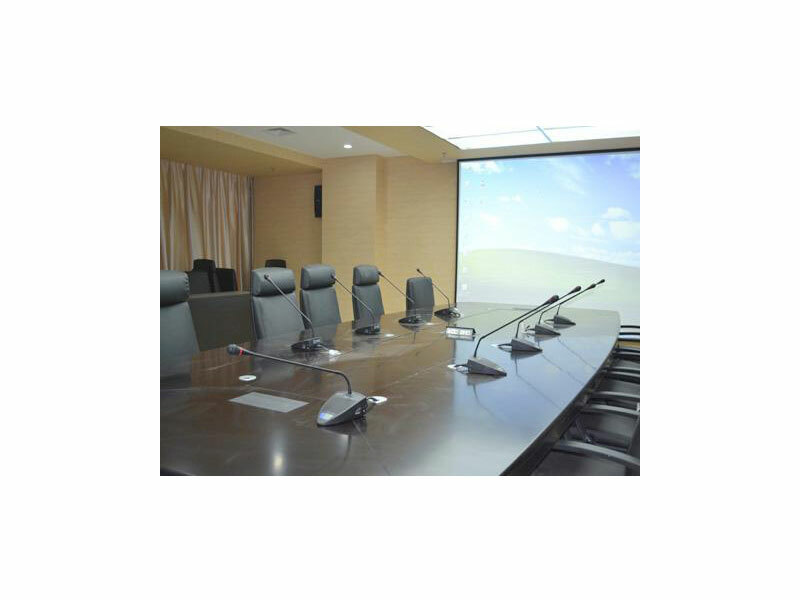 The conference microphone placement in rooms is usually divided into desktop placement and microphone shelf placement. When putting the conference microphone on the desktop, we should pay attention to the angle and interval between the speaker's mouth and the microphone. The best way is to align the microphone's middle axis with the speaker's mouth. At this time, the microphone has the best frequency response characteristics. The farther the mouth goes against the middle axis, the worse the frequency response characteristics, the more severe the loss of treble, and the output voltage of the microphone will be reduced. 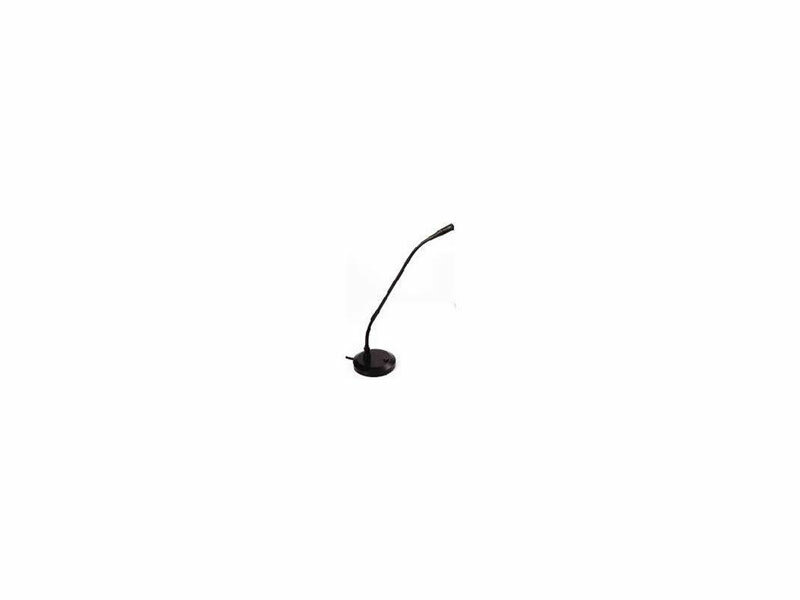 Usually a heart-shaped conference microphone, the angle between the mouth and the central axis is within 450 scale. 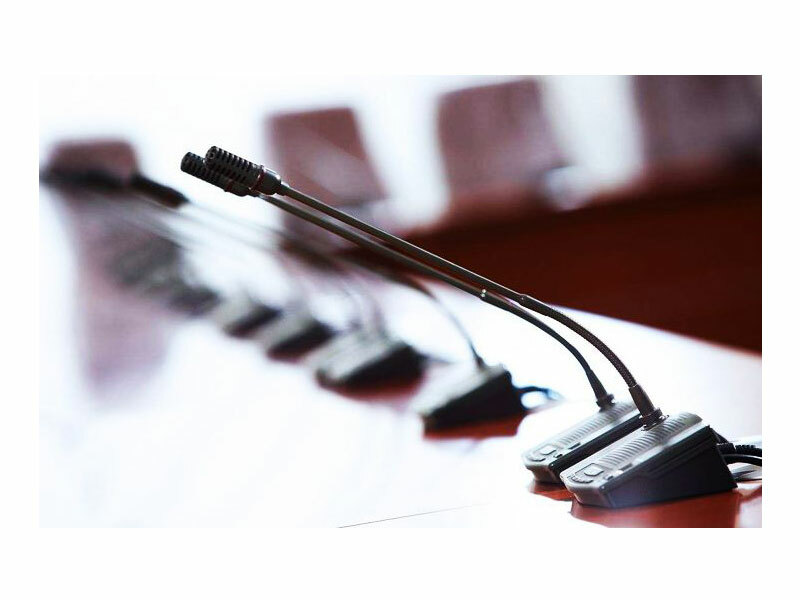 When speaking in a conference room, in order to enhance speech clarity, the microphone should be 20-30 cm away from the mouth. If it is too close, it is easy to present a low-frequency jet accent, which affects the clarity of the sound. If it is too far, the microphone picks up too many reflections and reverberations, which can easily lead to screaming. At this moment, if the mixer is pushed too small, the loudness can not meet the needs, the audience can not hear the content of the speech, pushing too large and easy to scream. Therefore, it is very important to accurately estimate the speaker's speech interval when putting the microphone in place. When multiple speakers need to place multiple microphones, the interval between microphones should be three times larger than the interval between sound sources and microphones (i.e. meeting the criterion of 3:1), so as to reduce the phase interference when signals are added. When a person speaks and needs to pick up sound with two or more microphones (e.g. for presentation), keep two or more microphones as close as possible. The interval between each microphone and the sound source (speaker's mouth) should be as flat as possible to avoid phase interference when signals are added. At this moment, we should pay more attention to the consistency of microphone phase. Take two microphones as an example. If two microphones have not picked up a large volume yet, the reverse phase of two microphones is clarified. At this point, the phase of a microphone needs to be adjusted. Usually, the problem lies in the microphone line, as long as the wiring of a microphone is adjusted. When the microphone stand is placed, because many microphone stands are triangular brackets, the projection of the microphone's center of gravity should be placed on one of the brackets after the microphone is installed. In addition, the movable pole of the microphone should not be pulled too long to avoid the microphone's gravity center overturning beyond the scale of the bracket.